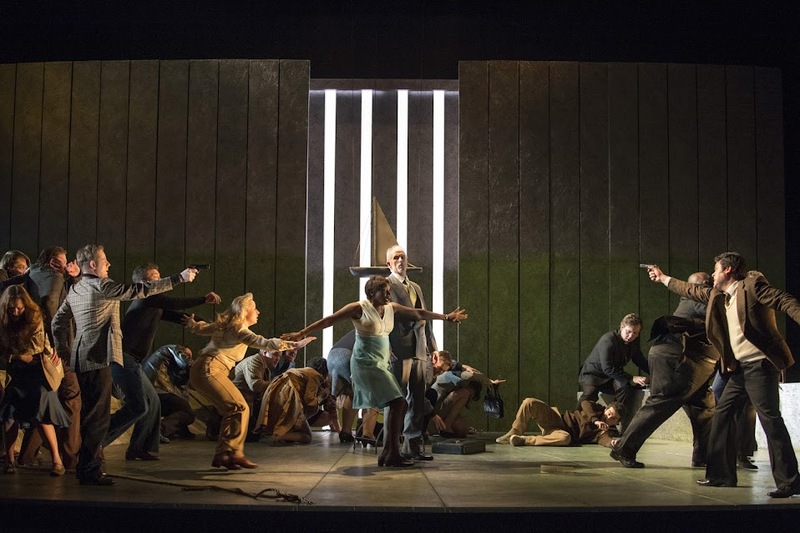 The emerging trend for large opera companies to broadcast their work in cinemas is not yet creating a new generation of opera-goers, according to new research commissioned by English Touring Opera (ETO) into audiences for opera cinema broadcasts. However, existing opera audiences highly value the opportunity to see productions that are geographically and financially out of reach, often enjoying a sense of participation and shared experience similar to live events. The research, conducted by ETO and the Guildhall School of Music & Drama and funded by Creativeworks London, surveyed 234 people attending live broadcasts of opera in cinemas in London from October and December, 2013. The research gives an insight into what audiences think of many aspects of opera in cinema, including what attracts them to attend and what they like or dislike about the experience. It found that 81% of cinema opera attendees were over 60 years old, with an age profile slightly older than that typically found at live opera. In addition, the study indicates that attending a cinema broadcast of opera does not regularly inspire cinema-goers to attend live opera in a theatre, with 85% of respondents reporting no increased motivation to attend live after their cinema experience. Views are split among audiences, with three main positions: there is nothing like live opera; cinema is a good alternative to live opera; and that cinema opera is a new art form in itself, offering something new and equally valuable as the live experience. In further interviews, some respondents expressed a belief that cinema had the potential to create new opera audiences, but do not believe this is happening yet. ETO’s general director James Conway said: “A lot has been speculated about the potential for cinema relays to create new audiences for live opera. I would love that to be the case but, as this research indicates, it may be wishful thinking. “What is sure is that access to digital opera performance has changed quickly, and producers of opera will need to respond with some intelligence to an environment that has not transformed, but has certainly shifted. Funder Creativeworks London brings together creative businesses and academic institutions based in London to increase growth in the creative economy. The lead researcher is Professor John Sloboda, director of the Guildhall School’s Understanding Audiences research programme, and the report is by Dr Karen Wise, research associate at the Guildhall School.